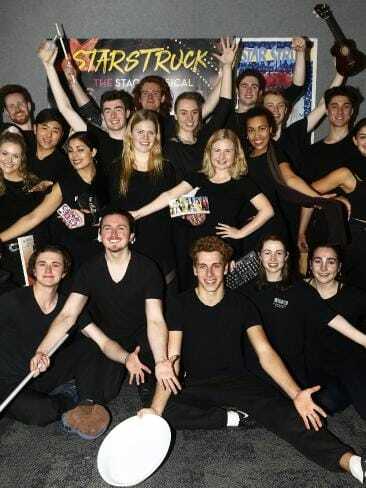 The dazzlingly-original 1982 Australian film STARSTRUCK is to be turned into a full-fledged “all-singing, all-dancing” musical in a ground-breaking and extraordinary partnership between industry heavyweights, aspiring theatre talents and Destination NSW. It was announced this week that RGM Productions – spearheaded by Australian producer Garry McQuinn (Priscilla Queen of The Desert The Musical) and his partner Rina Gill – will join forces with the National Institute of Dramatic Art (NIDA) and Destination NSW to bring director Gillian Armstrong’s iconic 1982 rock-musical-comedy-drama to vibrant life on stage. STARSTRUCK was a cinematic love letter to Sydney and billed as “a modern musical comedy”. It was splashy, colourful and bold, and established a new style of Australian filmmaking. The film earned three AFI Award Nominations, including for Best Original Music Score, Best Achievement in Costume Design and Best Achievement in Production Design. Set in the shadow of the Sydney Harbour Bridge, the film was written by Stephen MacLean (The Boy From Oz), designed by Brian Thomson (Jesus Christ Superstar, The Rocky Horror Show and Priscilla Queen of the Desert The Musical) and featured an uplifting, catchy soundtrack, including ‘Body and Soul’ by Tim Finn, the title song ‘Starstruck’ by Phil Judd, and ‘The Monkey in Me!’ by Dennis Nattrass. “The film is flamboyant, vivid and celebrates a time of innocence and excitement when it just might be possible to make dreams come true, ” said Brian Thomson. McQuinn said: “STARSTRUCK is an Australian fairytale, a wonderfully naive film with a ‘dare to dream’ message. It’s a neglected classic; people forget how original and influential the film was. Jackie Mullen strutting across the Sydney Opera House’s stage with her punk hair in her neon-lit tutu, tiara and gloves, anticipated Madonna’s ‘Like A Virgin’ by two years. Directed by Simon Phillips (Priscilla Queen of the Desert, Ladies in Black, Muriel’s Wedding), set designed by the Tony Award-winning Thomson and choreographed by Andrew Hallsworth (Anything Goes, Sweet Charity), the uniquely home-grown STARSTRUCK will showcase NIDA’s graduating class of 2019 when it premieres at the Parade Theatre late next year. The production aims to serve as a springboard for later commercial seasons. NIDA’s Director/CEO Kate Cherry has embraced the partnership, supported by Mushroom Music Publishing, the Owner of Foundation Theatres, Stephen Found, Destination NSW and David Elfick of Palm Beach Pictures. “The National Institute of Dramatic Art is proud to host the initial STARSTRUCK workshops in Sydney this year,” said Cherry. “The development of new Australian work resonates with NIDA’s primary aim to provide an immersive creative environment that encourages industry collaboration and innovation.